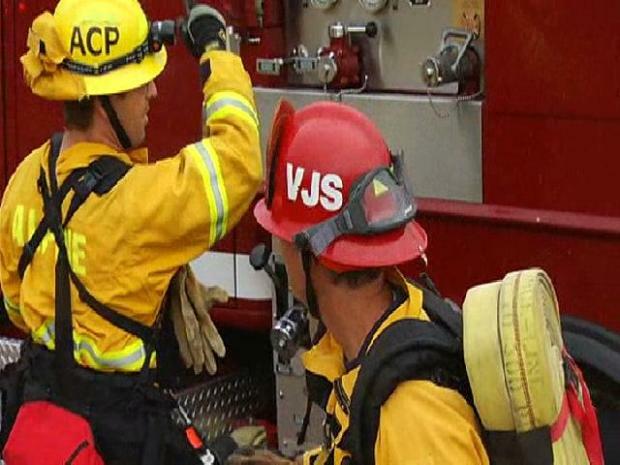 A brush fire burned more than three acres in Mission Trails Regional Park early Tuesday. The fire broke out around 1 a.m. in an area of the park that is inaccessible to vehicles, according to fire crews. San Diego Battalion Chief Ben Castro said the fire is suspicious in nature. More than eight crews arrived and tackled the fire in rough terrain but decided to let the fire burn itself out. A brush fire burned more than three acres in Mission Trails Regional Park early Tuesday. The fire broke out around 1 a.m. in an area of the park that is inaccessible to vehicles, according to fire crews. Monica Dean reports. No structures were threatened. No one was evacuated. 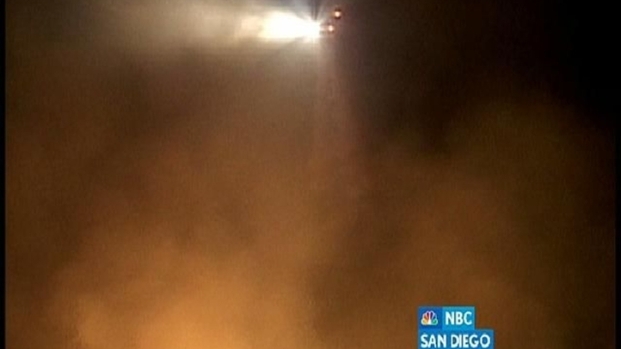 One of San Diego's fire helicopters was used to drop water on the flames during the night. Winds were calm and temperatures low -- favorable conditions for fighting fires. One lane on the west side of Mission Gorge was closed as CAL Fire crews mopped up flare-ups.